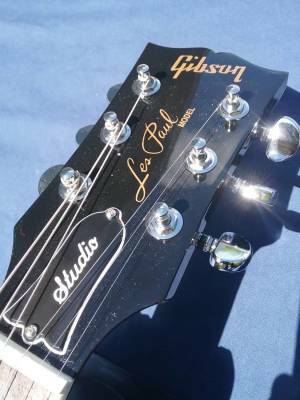 The Les Paul Studio is a stylish, essential guitar that delivers on design, tone and playability with authority. The white-bound, solid-rosewood fingerboard and Slim Taper neck provides a high-end appearance and enhanced playing feel. A pair of Gibsons most popular humbucking pickups, 57 Classic and 57 Classic + and 2 push-pull pots in an Ultra-Modern weight relief body contribute to the incredible tone variety of this Les Paul Studio. Neck feels amazing. You get more than what you paid for! I got a great deal on boxing day, almost half price. Not sure why it was so cheap, but it's flawless. Plays like a dream, and love the single coil option. Even the G string stays in tune! One of my favorite finishes as well. Worth full price in my opinion. Grab one. 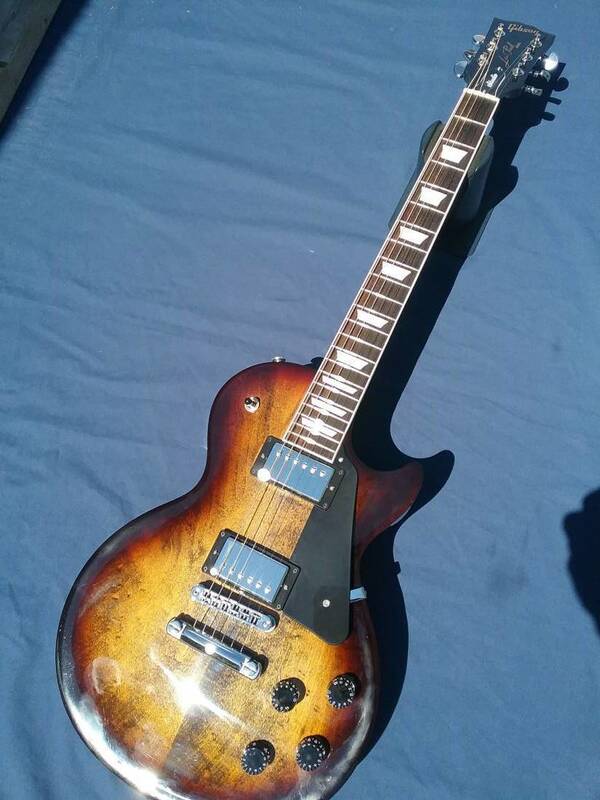 I've owned this guitar for a few months now and for the money i have yet to see a guitar of this quality. it sounds and plays great. it feels played in like on other very expensive guitar and has a thick and Rich sounding clean tone and is excellent for high gain leads live and in the studio. i played 2 shows with this guitar and the weight saving on this guitar made it so i was able to play this throughout the whole show without it feeling heavy or hurting my shoulder. I was apprehensive at first about owning a Studio because my other Gibson Les Paul is a Standard. 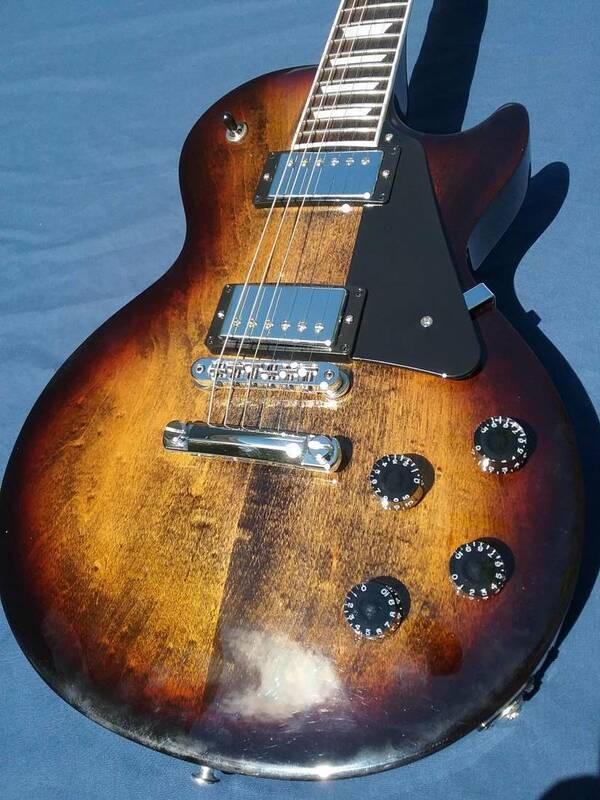 After doing some reviews on YouTube and L&M, I decided that it came with the pickups I wanted, and at first I have always wanted a Vintage Sunburst, although I didn't like the way it looked on the Studio. When I saw it n the Smokehouse Burst I was sold, luckily one of the stores near me had one in the Smokehouse Burst I was sold as soon as I started playing it. The neck fits nicely in your hand, and the tone out of the 57 Classics is just amazing. If the opportunity ever comes up for me to get another Gibson I will not hesitate to get a Studio, and this is the fourth guitar I've bought from L&M, I would definitely use them again. They're great. After I set her up she plays like an absolute dream. Just amazing. It was sad to hear Gibson filed for Section 11 hours after purchasing it. Only thing I noticed, the body shape was much different than my '16 Special, and the Slim taper neck is more of a small 50's profile. This is a nice feeling guitar, it's been a day or so and I've yet to plug it in. I just love the the fact that neck is not a carbon copy 60's feel., it has a Custom feel to the neck. Head shape is a little smaller than what I'm used to seeing but I've never really gave the Studio much thought until I saw the white bound neck, not the brown yellow stuff. She's a keeper. I have been playing inexpensive guitars occasionnaly for the last 20 years. I owned a 1998 Fender Squire and did not know any better. For the last several months I would go to the LM store in Ottawa to try out several models and kept coming back to this one. I finally decided to purchas the Smokehouse version. 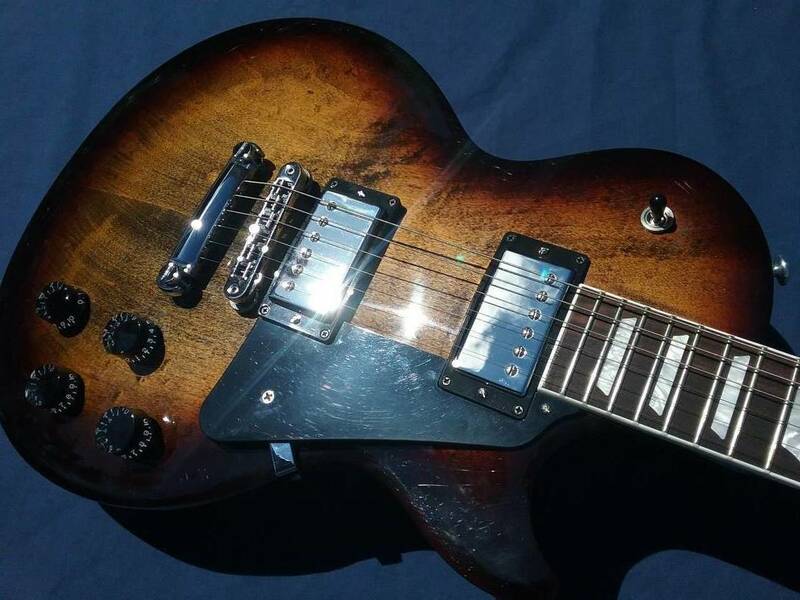 The beauty of the finish and the smoothness of the strings and playability is just amazing. Plugging it into my new Marshal DSL15c amp topped it all off. Great sound, features and build quality. If you are hesitating on this guitar, I suggest you go for it. You will not be disappointed.... and you will own a Les Paul. I purchased this guitar on Boxing Day at the Halifax L&M. So happy with this purchase. I wanted a LP for years and have been constantly browsing. When I saw the 2018 studio with this finish and the neck binding I feel in love. I have a 20 watt cube amp that I use for messing around and this guitar with the 57 classic/classic+ pups sounds amazing. Not a cheap guitar at $1750 but in comparison to standards, trads and classics it really gives you the tonal versatility with the coil taps without the 3,000 price tag. Best bang for your buck IMO. Basically a standard without the bling. Impressive looks, feel, sound, versatility and quality. It was a no brainer! !